It is full on fall around here, my home is a fall inspired explosion of color and all things leaves. I like to go with the rustic and nature themed fall decor, it is a slight change from my coastal decor, but still keeps the feel. 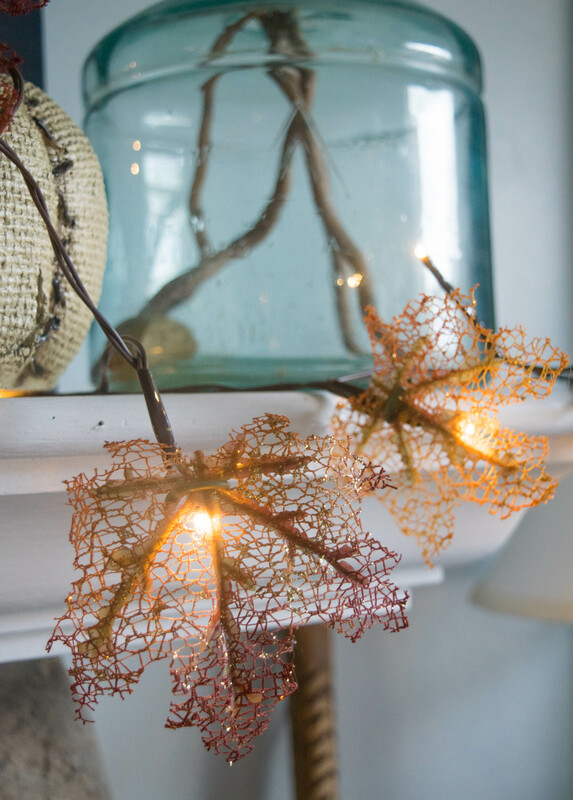 Today it is all about How to make a fall leaf garland with twinkle lights! 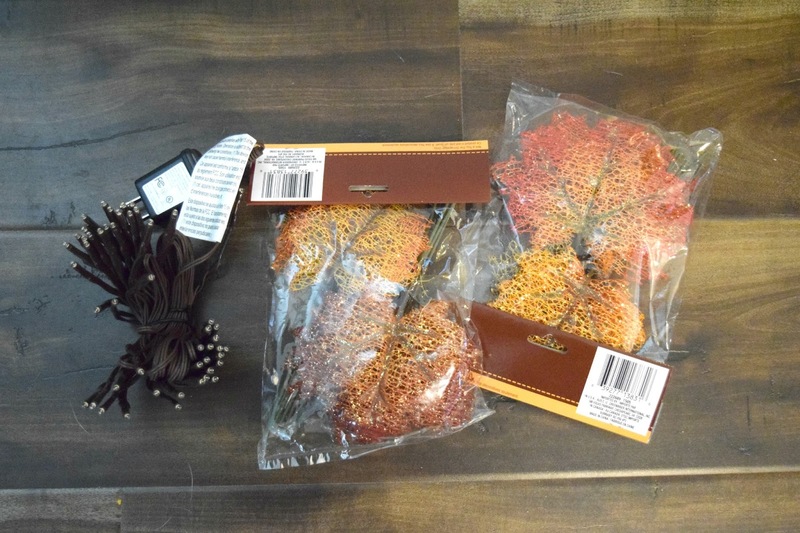 Before I jump into this craft tutorial I am warning you now that I tiny sneak peek of my fall decor will be at the bottom of this post! My full fall home tour is set to go live next Monday. So peek away and come back for the full thing next week! I decided to make a quick and simple leaf garland. 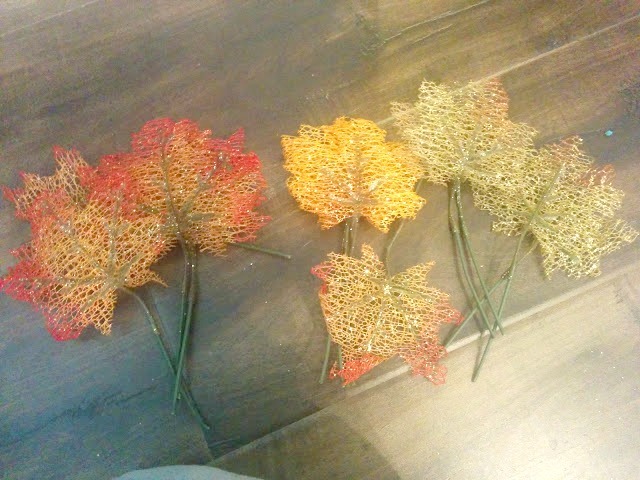 Using leaves purchased from the dollar store, yep this is that kind of budget fall craft project! I decided to add some twinkle lights. Who says twinkle lights are just for Christmas? Not this girl. No way, no how. Shine bright like a diamond all year long. I will note that I used LED lights which means they will not get hot. This is important with what I am going to be doing with them. 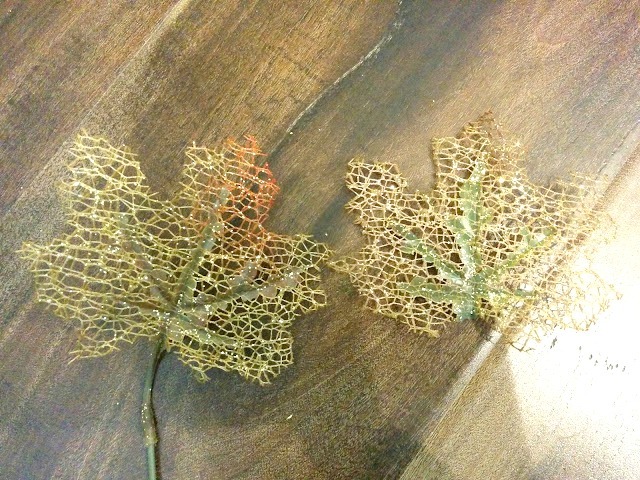 This is the leaves that were in the package, they are sparkly and delicate. Nora mentioned that they looked like a fall fairy kissed them. Which is true, The Dollar store has personal fairies that kiss fairy dust on things… little known fact. You ready for this crazy short and sweet craft tutorial? 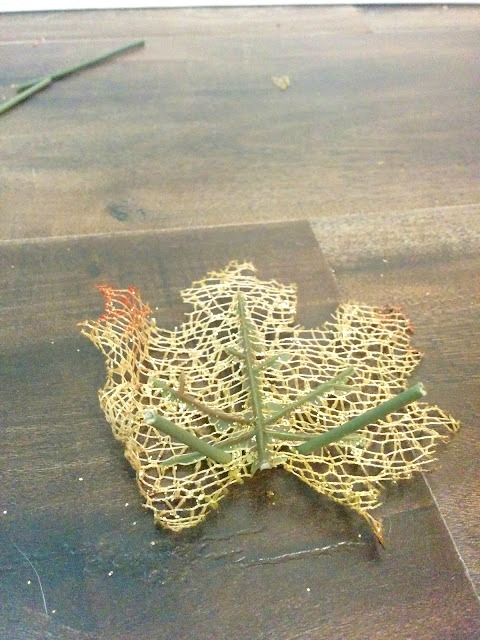 I cut the stems off of the leaves. 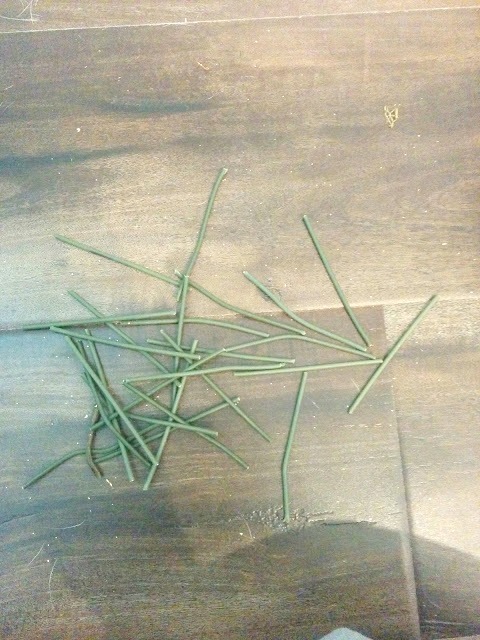 I ended up with a pile of fake leaf stems. It was a bloodbath, I went scissor crazy. I am a responsible chopper however and found the perfect use for them. You know me and my hoarding ways could not just throw the stems away. They are flexible and bendy so I entwined the ends into the tiny holes in the leaves, having them end up in the back of the leaf. I took one LED light, and tied the former leaf stems around the light. 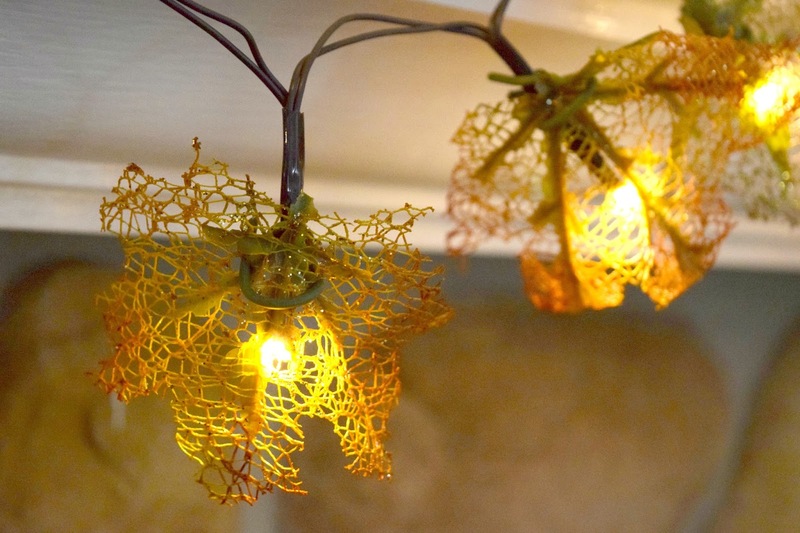 Making the leaf become attached to the string of lights. Viola! Super simple and easy. I was doing this, sitting on the floor in the living room. The kids were in bed, my dog’s were snoring, and Dale was being my hero and cutting pieces of wood for another project of mine in the garage. I had the serious task of watching reality TV and absentmindedly tying former stems around twinkle lights. It was this or folding laundry, I will always choose the craft. Always! I plugged this vine of leaves in and draped it around my fireplace mantel that is all dressed up in the best fall trimmings. 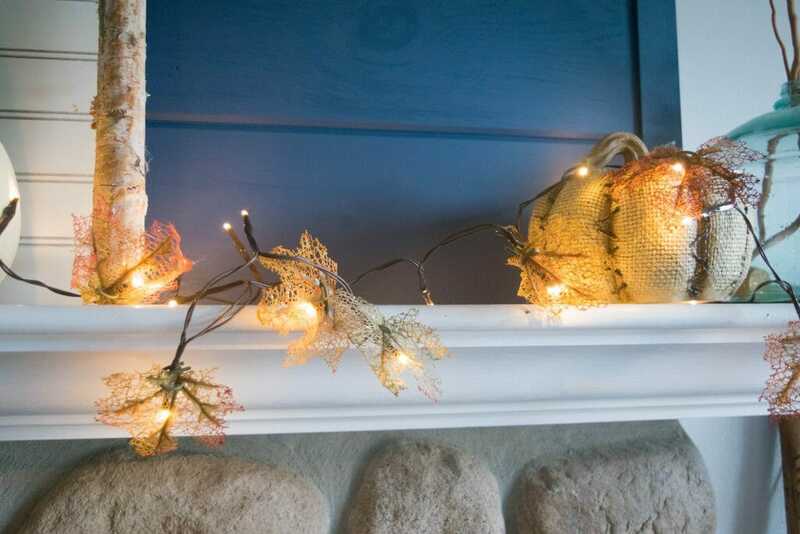 This fall leaf garland with twinkle lights is just the kind of subtle color my mantel needs. 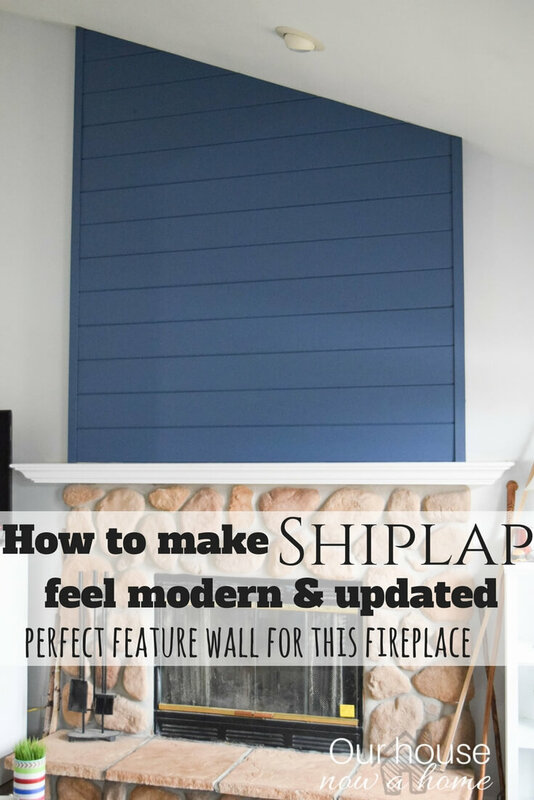 When I added this navy blue shiplap this year I was not sure how my seasonal decor would blend in. I have had to alter things slightly, tone down the color and add more texture. 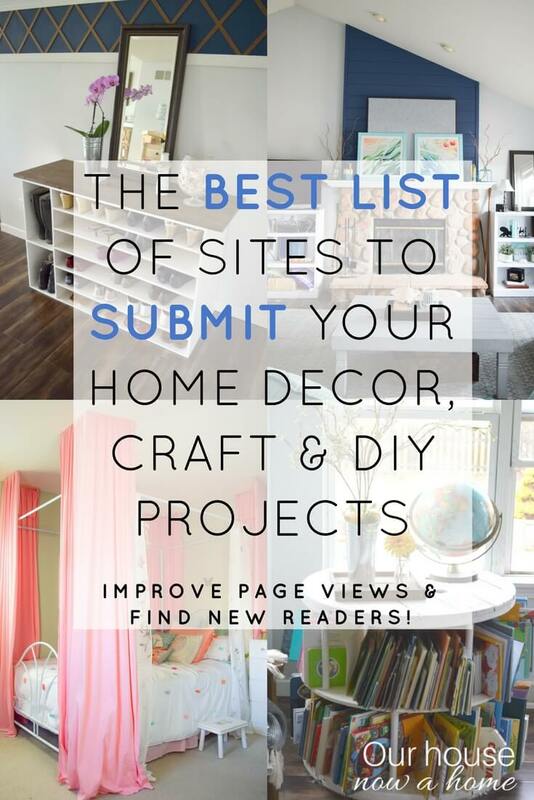 I will be linking up all DIY projects featured in this post at the bottom of the page. When they light up, it is so dreamy! When I was a teenager I actually overtook part of my closet, turned it into a sitting area that had classy purple plastic blow up chairs (tell me you remember those). I was fancy. Anyways, there was Christmas lights strung around my little hangout area in my closet. I decorated in my spare time as a teenager, completely normal right? I wish I had pictures of my awesome nook. 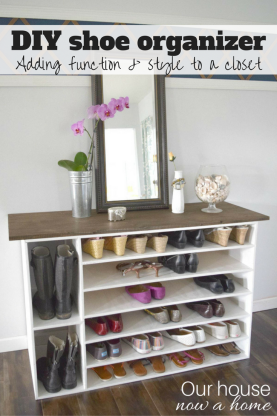 People are turning their closets into all kinds of things now. I was way ahead of the game. Getting back to the present, twinkle lights for fall decor! It works so well. 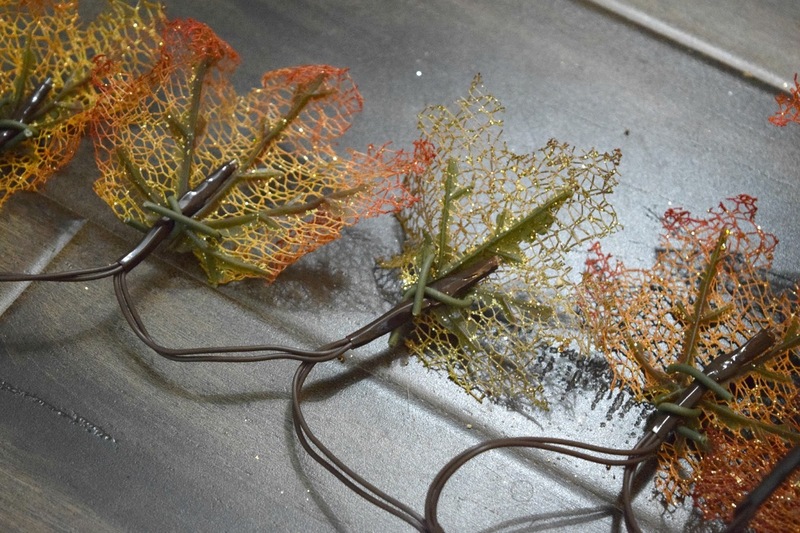 The beauty of this leaf garland is that the kissed by fall fairy leaves are pretty all on their own. In the daytime they look like a standard, leaf garland. Until the sun goes down and the craziness that is twinkle lights illuminating a fireplace comes on. This is fall decor insanity! I am breaking all of the rules and most likely getting on Santa’s naughty list right now, I believe he has reserved the twinkle lights for his holiday. Until today, boom! I recently made the pumpkins in front of the leaf wall art but have not shared them yet. Another simple craft tutorial will be coming soon to share these beauties with you. I set the leaves up to look as if they are natural leaves climbing up on the fireplace mantel with a magical vine that glows. Very natural and realistic. I think with any simple project, it is all in the big finale; the presentation. 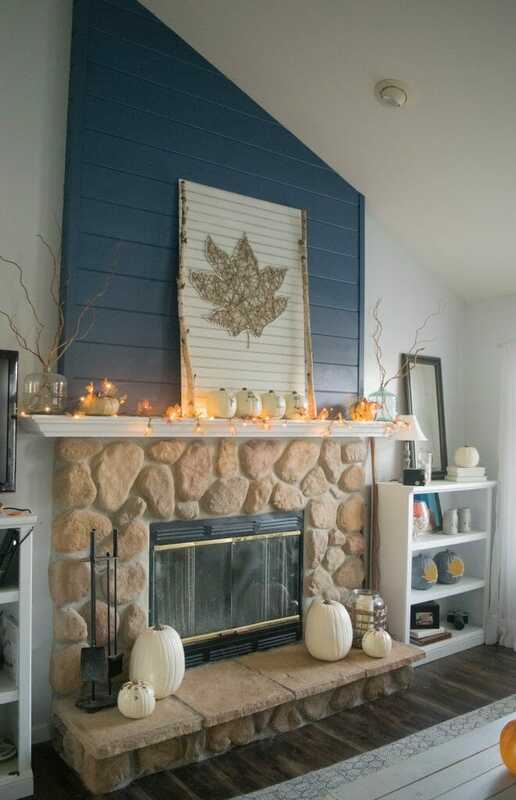 If I had simply placed this DIY leaf garland on my mantle and called it fall they would have looked out of place. Because I paired it with other nature themed pieces, and have this be the only pop of color it makes this both stand out and fit with everything else. Finding that balance when decorating your home is key. When decorating it for a holiday it can be hard to mix it all together. All of the pieces featured on this fireplace I either made myself for under $40 or purchased for very low costs. Decorating never has to be expensive. Lastly, and most importantly…. these leaves sparkle and shine! They were truly kissed by the fall fairies. 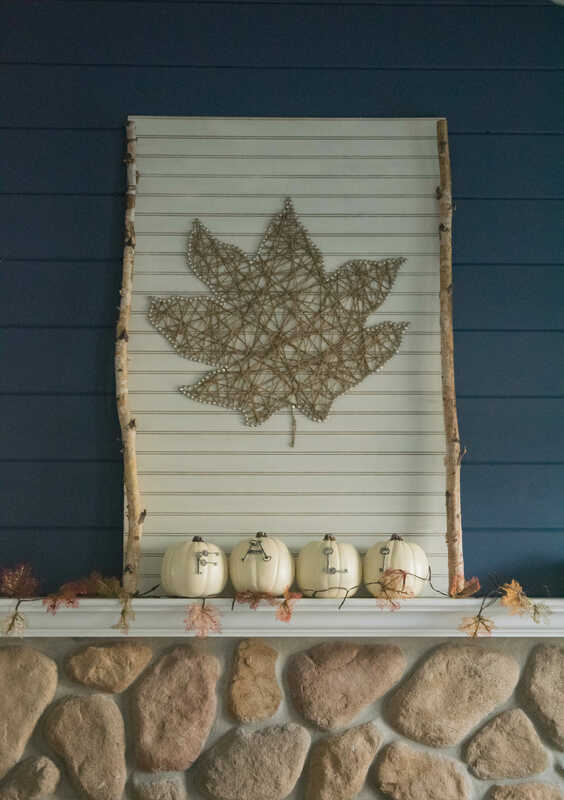 What is a fun way you have decorated for fall? Anything adorable like Nora’s proclamation of the fall fairies? Kids are the best, mine adore these twinkling lights and want to see them sparkle with no other lights on in the house. We set the mood here, lights low, twinkling, Dale and I cozy on the couch, with three kids and two dogs piled up on top of us telling jokes, and then one of the dog’s fart. At least that is who gets blamed, every time. Just the reality around here. Within that chaos we do enjoy these lights though, there is that at least. I warned you about my tiny peek of fall decor. I have gone clean, simple, with pops of fall color. I have really let the nature of fall shine through in my home this year, using twigs, sticks, and pumpkins… so many pumpkins. 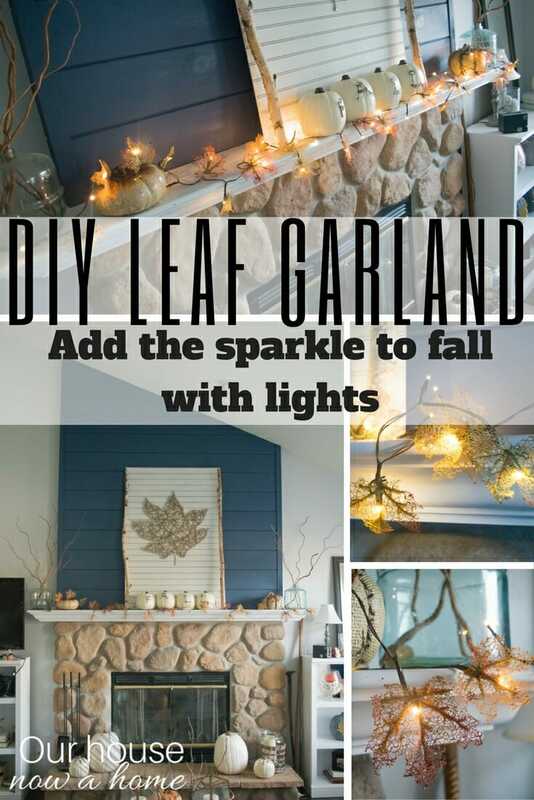 Anyways I also warned you that How to make a fall leaf garland with twinkle lights was going to be easy, and I was not joking! It took maybe 3 steps, and my craft supplies was scissors, that is it. 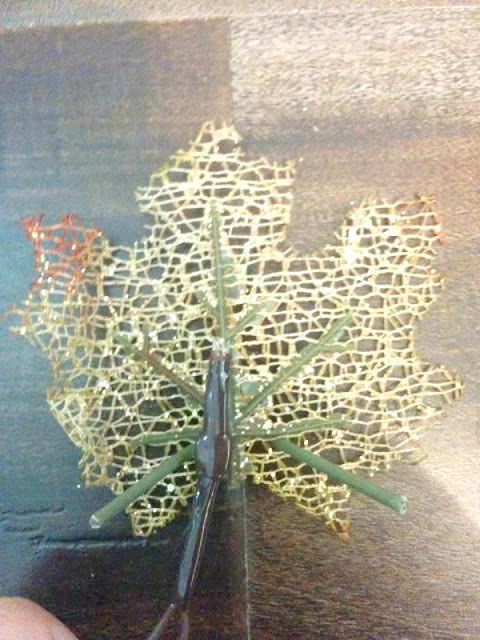 I love to make these smaller crafts, they help me fully decorate my home for the season. Sprinkling in these DIY projects allows me to decorate and not break the bank. Always a win! This is charming! What a simple but beautiful idea. Cute, and I love your large leaf decoration you have on your mantel! Thank you! It was my first time doing string art an I love the outcome, a little time consuming but worth it. Great idea. Looks like a very on you mantle. So creative! 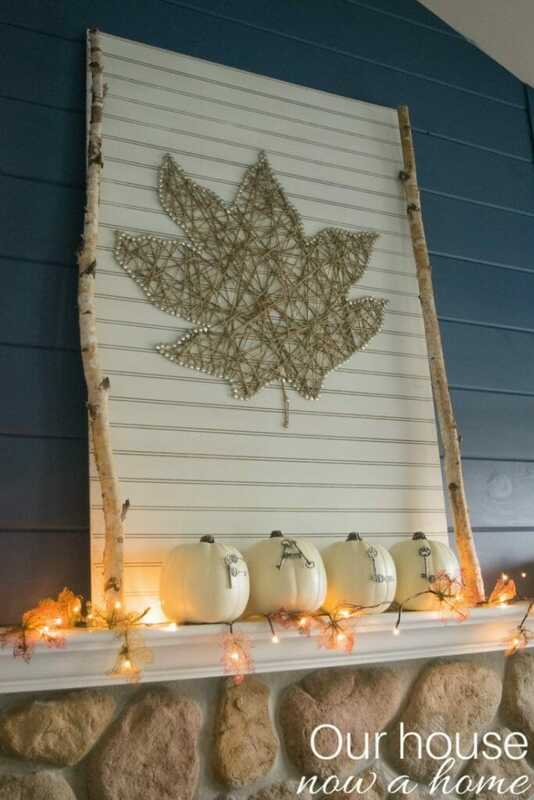 I especially love the white pumpkins and birch wood! Thank you! I have had fun adding a lot of natural elements this time around in my fall decor. 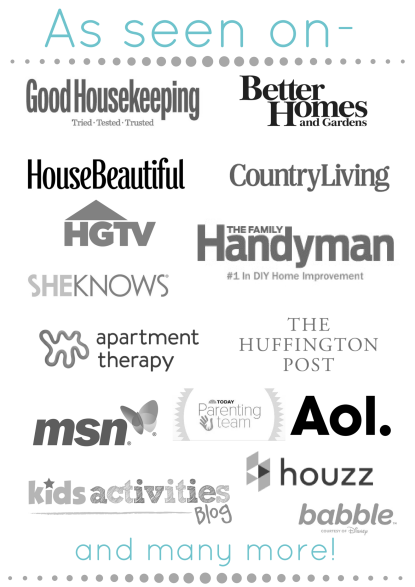 It is just amazing how you make your home look like a million bucks without spending a million bucks! I love the idea of having twinkly lights any time of year. Thank you so much! 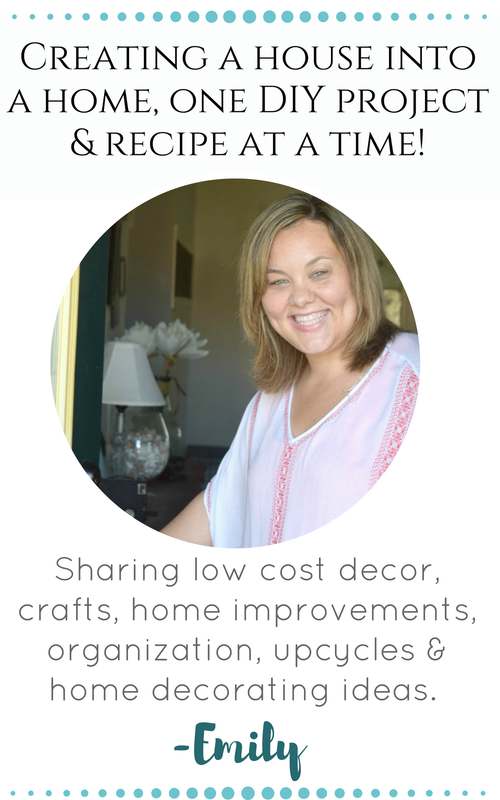 I worried when we bought our house that decorating the way I wanted would cost so much money, I have loved finding low cost solutions to make it happen. 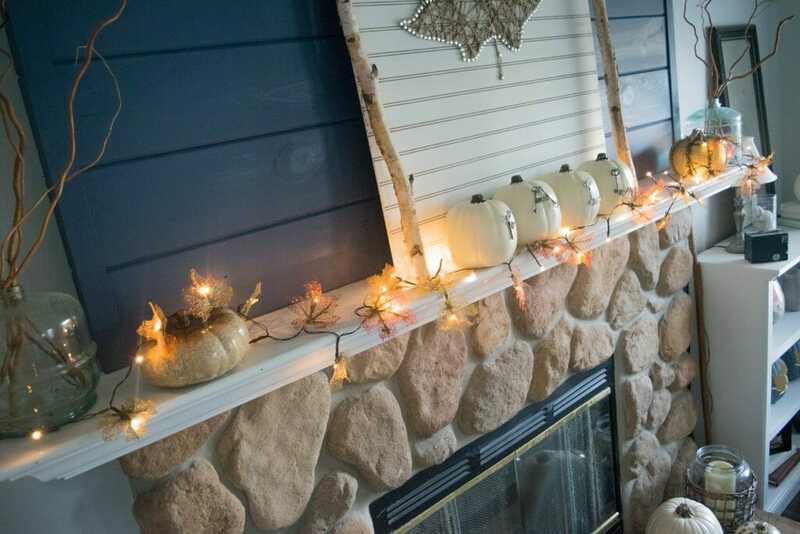 I love your Fall Mantel its beautiful. Your so creative. Love the leaf twinkle lights and that large fall artwork! Thank you so much Kim! 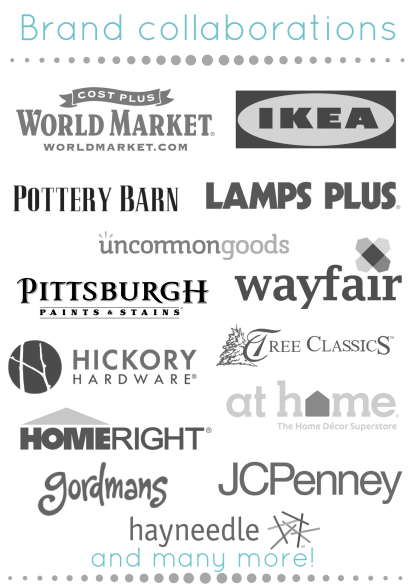 Thank you, I have a lot of fun creating things for my home! They do have a very comfy and cozy feel to it. I love the pumpkins. Very warm and festive for fall. We don't have a mantle. I'm a little envious of yours! Thank you so much! 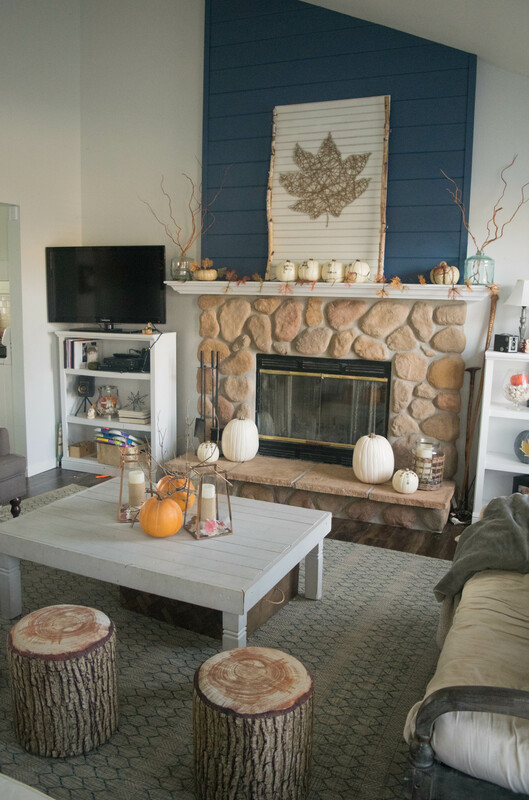 This fireplace was one of the first things I noticed about this home, I have so much fun decorating it. Yes I sure do remember the plastic blow up chairs! Your garland is lovely, it's very creative and you did a great job with it. So happy I am not the only one that remembers those chairs! They were so tacky but such a big hit. Oh wow how pretty is this! I can just imagine having this garland on my mantelpiece, I think it would look so pretty. I love the leaf garland. I like lights all year round. I have them on my floor plants. So pretty! I think I need to do something like this to brighten up our living room. Wow! 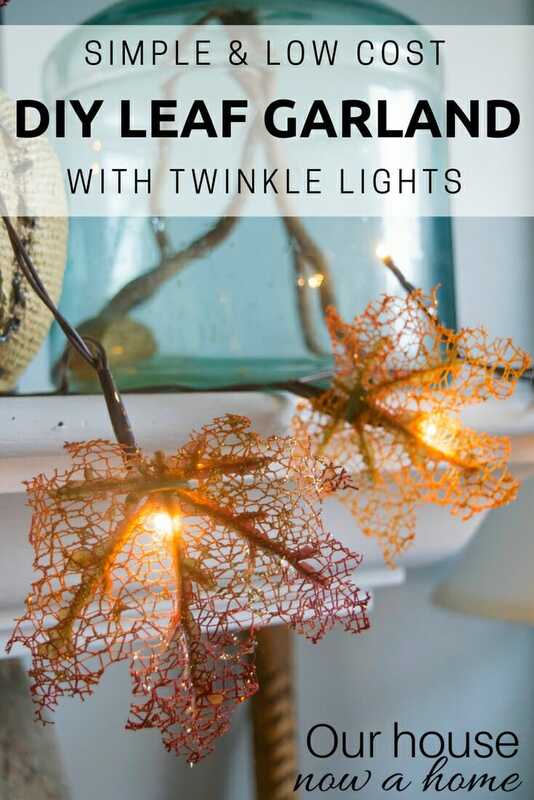 I love these leaves..and adding the twinkle lights really makes a statement. But first, can we talk about your leaf string art on the mantel? That is AMAZING. 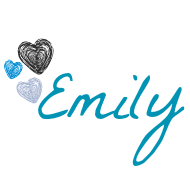 I’m bookmarking your site because I don’t want to miss your Fall tutorials! Wow! I just love the romantic look that twinkle lights give decorations. Your fireplace is gorgeous btw – and those wood stools are PERFECT. 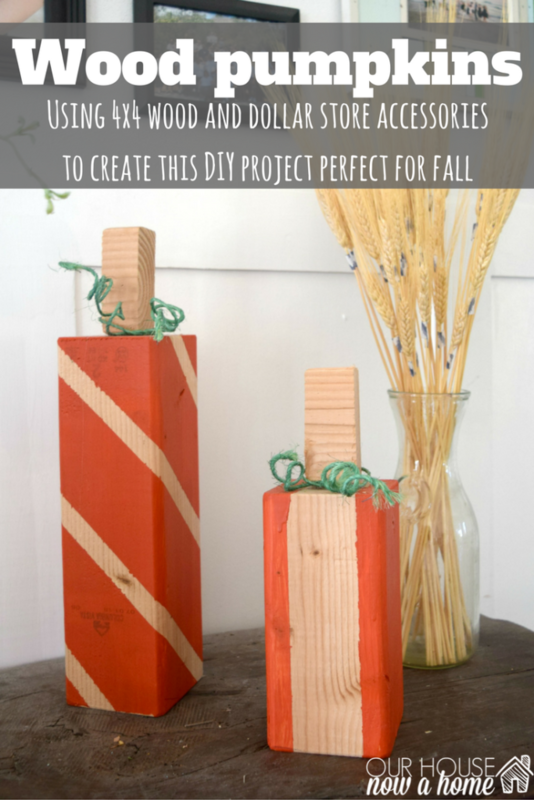 What a lovely DIY decorating idea for Fall. I am always looking for ways to affordably decorate our home during the changing of seasons and this is definitely something I would do. I really like how this looks! It is perfect for the fall and I love all the lights and colors that are all over the place. I think this is probably one of the reasons why I like fall so much. 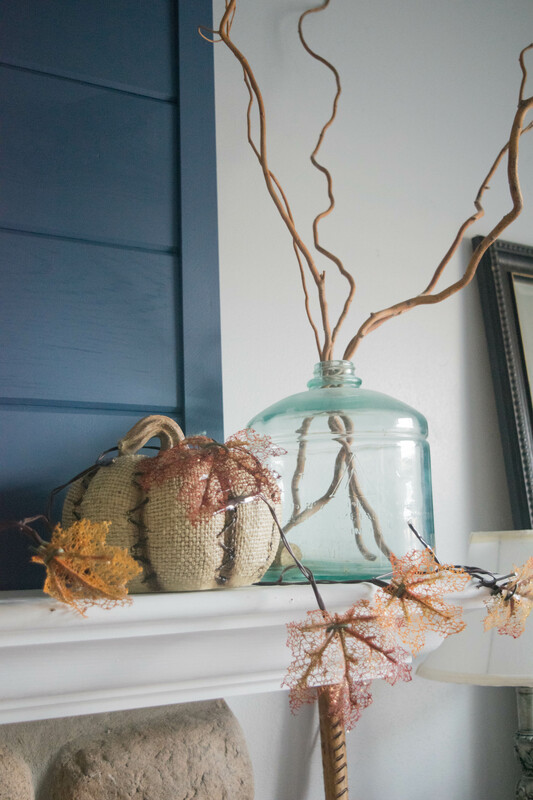 There’s so much you can do to decorate and make it look fall like! I love the lights and your mantle. 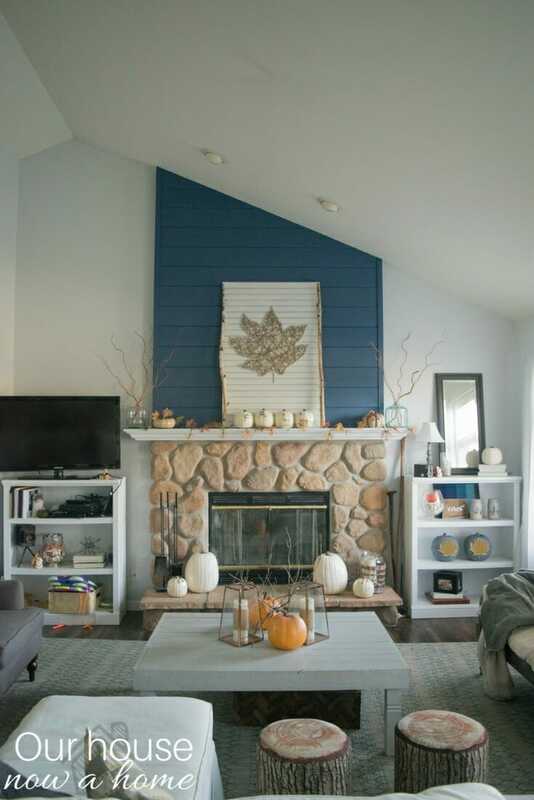 I also really love the big leaf on top of the fireplace. 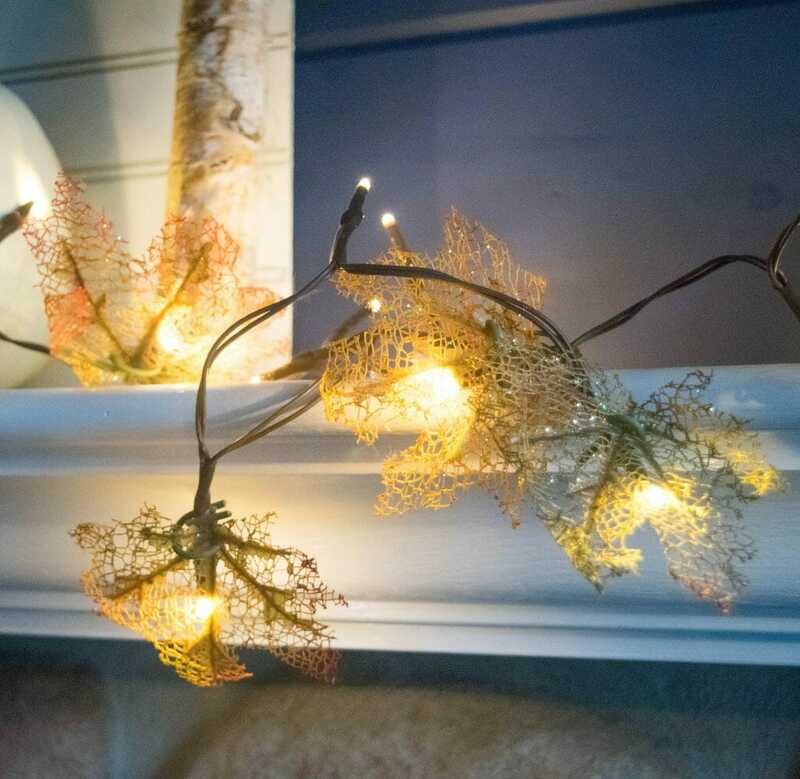 I’ll have to make some fall garland with lights this year. Now here is a craft I adore and actually something I could make and use. Simple but great looking craft. I love this simple garland. It turned out really pretty and I agree, it looks like fairies were involved. These are beautiful. I’m not very crafty, but I sure admire those who are. that is so cute. I like that it is simply that I think even I could do it. Your mantle looks so festive and fall. I love decorating for the holidays. This project is a little labor intensive for me, but it’s so pretty! I love finding new and creative ways to hang decorative lights. Love this! Fall is such a quick season here so it would be nice to extend the season by bringing it indoors. Oh wow, this was so resourceful and they look so pretty on the mantel. I’m beginning to realize how behind I am on my fall decorations. I love that.. The lights really add just an extra bit of pop to it all. The whole mantle looks great. Oh this is so pretty and perfect for Fall! I love how it looks on the mantle! Such a cute idea! I love how simple you made it look and adding the lights was a great idea! So cute. I love the soft light these lights can add. Simple and not over done. 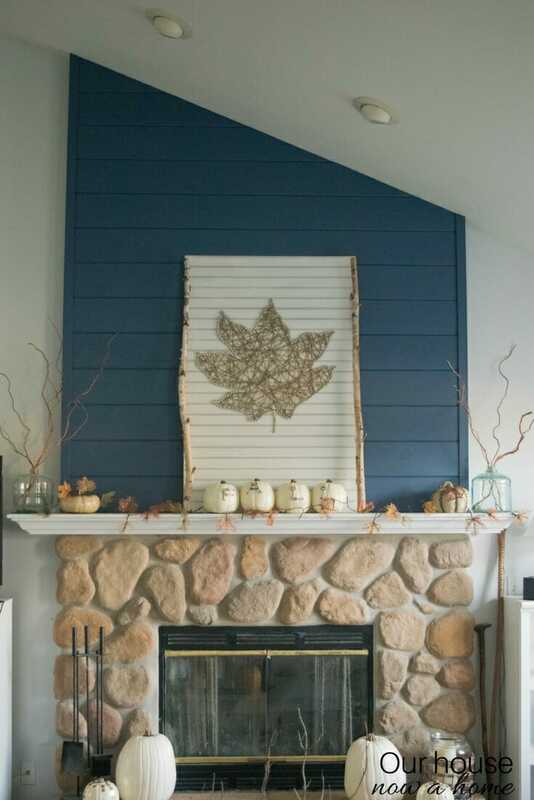 What a gorgeous fall mantel! The leaf garland looks beautiful all lit up! Great job! This is so cute. I love it. So creative and unique. I’m going to have to try this. I like it. These all are looking very pretty. Nice post. I absolutely LOVE this garland. I’m a big fan of subtle and rustic decor so this is right up my alley! These are so cute and look super easy to make. I use those strands of lights for many things. This is such a cute idea! Even someone like me who is craft challenged could do it. lol I love your mantle too!